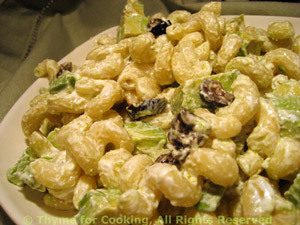 Pasta with Avocado and Greek Olives, Thyme for Cooking easy side dish. Olives, avocado and a bit of Greek yogurt make a quick, simple salad side dish. Combine yogurt and pasta; stir well to combine. Add avocado, olives, stir gently and serve.